Gone are the days when PR was limited to just reputation management, press outreach for newspapers, radios and television, press release distribution etc. With the introduction of Internet, the opportunities for PR have increased. PR professionals need to adapt to the changing dynamics. The shifting focus from Traditional PR to Digital PR is evident, and we cannot afford to ignore the important trends in PR. The traditional practice of announcing a news of a company through a Press Release has become outdated. Yes, companies still use Press Releases as a means to spread their news but it is not only limited to that. These days, companies and their agencies have started adopting newer and faster ways such as directly pitching to the journalist, or collaborating with a blogger to publish it. It is easier to publish news and information online and amplify it through social media. This will help you increase your reach as well as engagement. The results of PR have always been questioned because they have not been quantifiable. PR is critical for any business and it helps you give long-term results. It is now possible to understand the impact of PR through proper data analytics and mould your communication according to that. It is important that we establish Data Driven metrics to help measure the correct results of PR activities. You can use data to understand the type of audience you are targeting, behaviours, understanding the right time to publish information etc. One of the biggest trends developing in PR is Real Time Marketing/reporting. As the name suggests, this is the process of leveraging events and using social media (Live Video/ Live Tweets). PR professionals need to be prepared and equipped for various situations and react to anything that may be happening. It is a proven a fact that displaying content through a Video creates not just a better understanding but also help create a recall for your brand. A descriptive video or even slideshows can help you deliver your message in a more effective way, and your audience will prefer looking at a video on their phones rather than reading blogs/news through written content. A new and rising trend is building the thought leadership of senior executives/CEOs of the company. This involves the senior management publishing blogs, articles, views etc on various portals. Publishing such blogs on reputed portals like LinkedIn and Quora will help increase credibility of the Leader as well as their company. Content amplification is a common practice for all PR activities. Yes, you have built your content and published it as well. To increase the readership and reach of that content, you need to amplify it through Social Media. But using Social Media cannot be very fruitful. You need to combine it with Paid Promotion as well. Using tools like Facebook Ads, Twitter Promoted Tweets and LinkedIn Sponsored Updates, you can choose who exactly you want to target and gather the type of engagement your content has generated. We cannot afford to ignore the growing importance of Social Media in our lives. It is important to come up with innovative ways to reach out to your audience. One of the rising trends is Influencer Engagement, the process of collaborating with influential people on social media to post about and promote your offerings. This can be through an organic, barter or paid collaboration. Choosing the right type of influencers from your industry who have a high reach will give you a great exposure. Other than involving Artificial Intelligence in the basic activities of PR like research, analysis and media mapping, you can integrate AI into various other activities too. For example, using automatic audience targeting, or by introducing Chatbot technology you can make the life of PR pros very easy. We have used data analytics to measure the kind of reach and impressions our content has. But what will help us understand the real impact of the content shared is by measuring the kind of engagement that it gathers. Analysing the number of likes, shares and comments you are getting is crucial, but you also need to gather understanding from such engagement. You can easily analyse the type of people that are engaging with your content, and thanks to social media, you can even respond to the negative and positive feedback you receive instantly. It is an essential yet often ignored part of PR. Using SEO to find out relevant Keywords and integrating them into your content will increase your chance of being featured on the first page Search Engine Results Page (SERP). 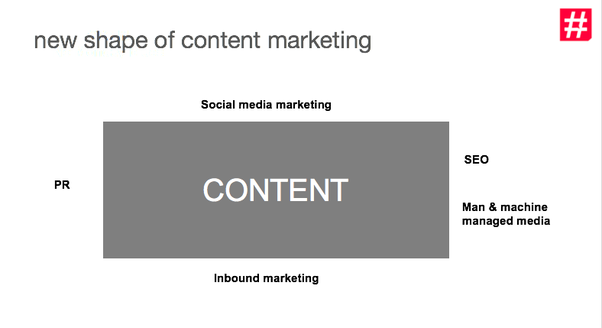 Content marketing is a strategy to create, curate & amplify a content for building advocacy & thought leadership which can directly result in achieving business & marketing objectives by influencing a set target audience. The way we are doing public relations is purely dependent on the communication & messaging. The advent of the digital change has completely reformed business processes across multiple industries, and PR is one such avenue that has seen monumental changes over the course of the past few years. PR has now become an amalgamation of digital marketing and data analytics, and it goes without saying that PR will still experience continuous changes as technology keeps on developing over time.